Paul plays a central role in SFI’s partnerships with Indigenous communities. He has a wealth of experience in supporting Indigenous rights recognition, relationship building and socioeconomic development. Paul’s work also has a specific focus on understanding the unique realities faced by First Nation, Métis and Inuit youth. As both a professional and an elected community official, Paul has worked to build greater understanding and collaboration between Indigenous communities across Canada and the industry actors operating within their territories. Paul holds a Master of Science in Forestry from Lakehead University and a Forest Technician Diploma and Certificate in Aboriginal‑Canadian Relations from Confederation College. 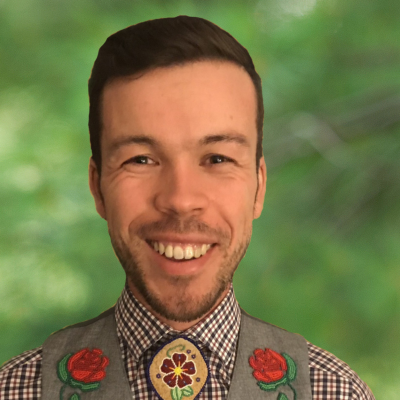 Paul is a recipient of the Governor General’s Academic Medal and the J. Michael Waldram Memorial Fellowship, recognizing his work as an emerging young Indigenous leader in the natural resources field.